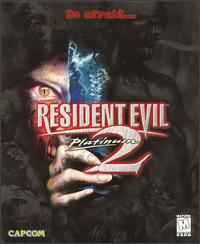 Resident Evil 2 is considered by many to be the best game of the series. The sequel makes substantial improvements on the original in the graphics department, especially in the way of character models and improved animations, such as head tracking. You again have the choice of selecting one of two characters, each with its own disc, but the item and weapon differences and stories vary greatly depending on what order you play the discs. What you do in one game can have an effect (although a very limited one) on your next game, and there are two unlockable extra-tough scenarios and other secrets to be found. Inside R.C.P.D., detailed files and photos flesh out the story nicely, making RE2 more detailed and involving than the first chapter. For many, RE2 is still the pinnacle of survival-horror. The pc version adds Dual Shock support, a few new extras, and an added battle mode upon completion of the game.